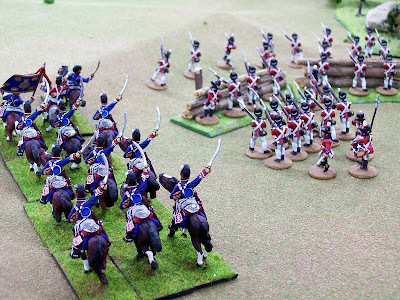 The Royal Marines are from Foundry whilst the light dragoons were made by Elite Miniatures; all are 28mms. Patrick L. artfully painted the RMs. I painted the LDs. 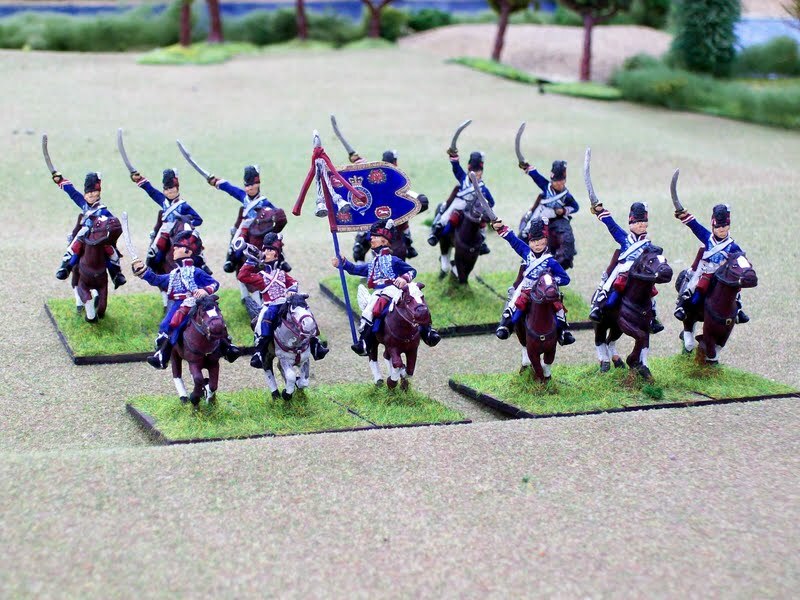 2/16th Light Dragoons exercise in a two rank line; twelve miniatures per squadron. The flag is from GMB. 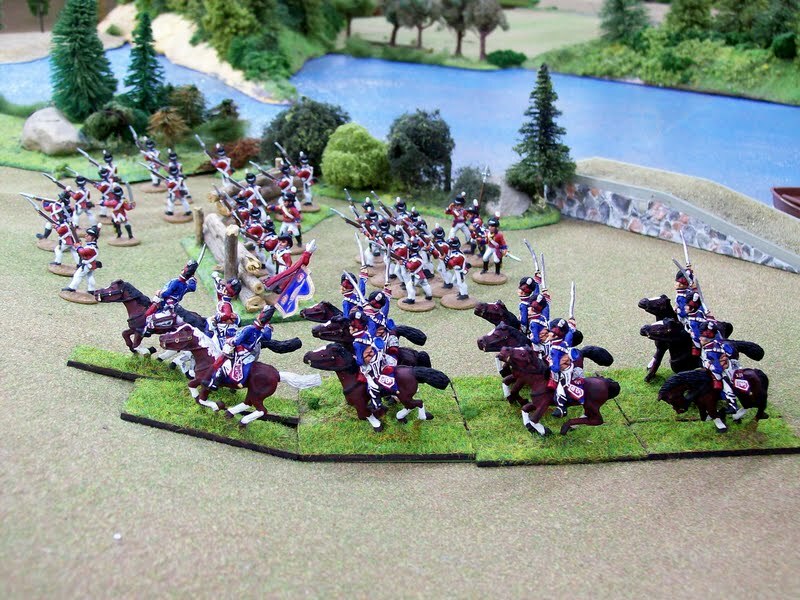 Jim (Der Alte Fritz) and I have occasionally diverted ourselves with 1:10 Napoleonics in the past three years. 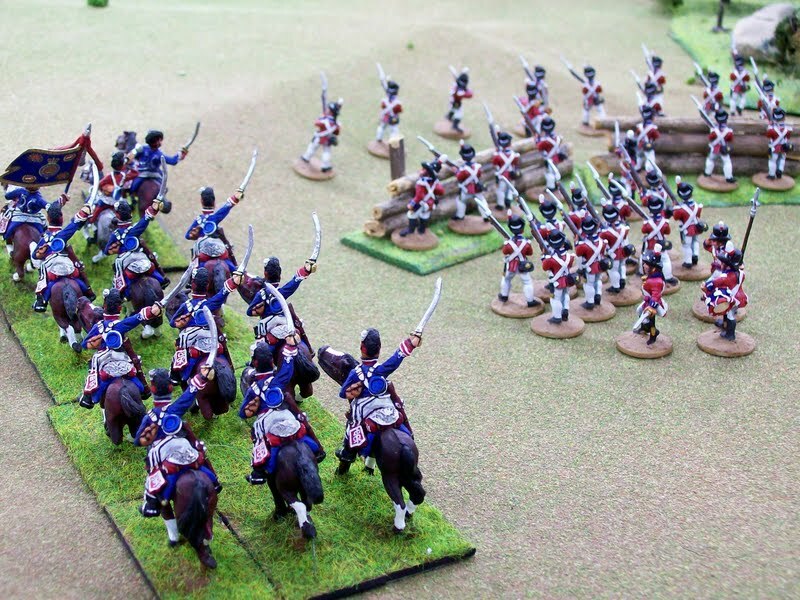 We've had several good games happily reworking BAR fighting bicornered French versus Prussians. Two months ago, I idly said Napoleonics in Spain interested me. I think this goes waaaay back to reading Don Featherstone's writings about it. Jim has been interested too. You've seen Jim's British contribution on his Der Alte Fritz Journal Blog. The above photos reveal my finished lads. My next contribution is to add another squadron for the 16LD and afterwards raise two squadrons for the 15th Hussars. Tally HO!